AutoSpa Auto-Vac 120v Bagless Auto Vacuum with Cleaning Tools | BUDK.com - Knives & Swords At The Lowest Prices! 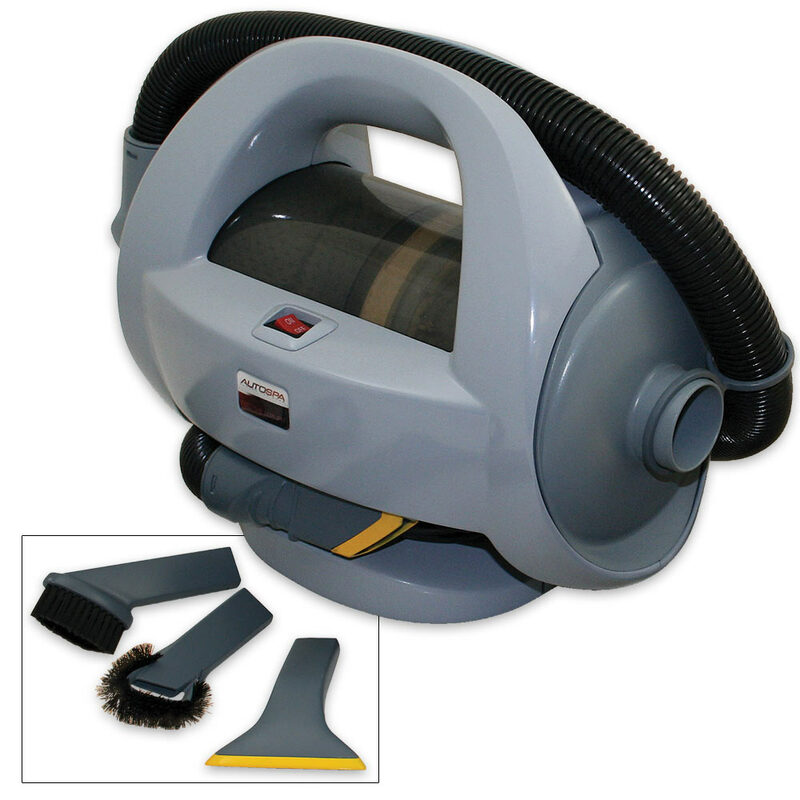 With AutoSpa's “Auto-Vac” 120v Bagless Automobile Vacuum, you won't have to wrestle with an unwieldy household vacuum cleaner or pay to use a convenience store vacuum again! Compact, lightweight and easy to handle, the Auto-Vac makes getting rid of crumbs, pet hair, dirt and other debris that constantly builds up in your car, truck or SUV a snap! 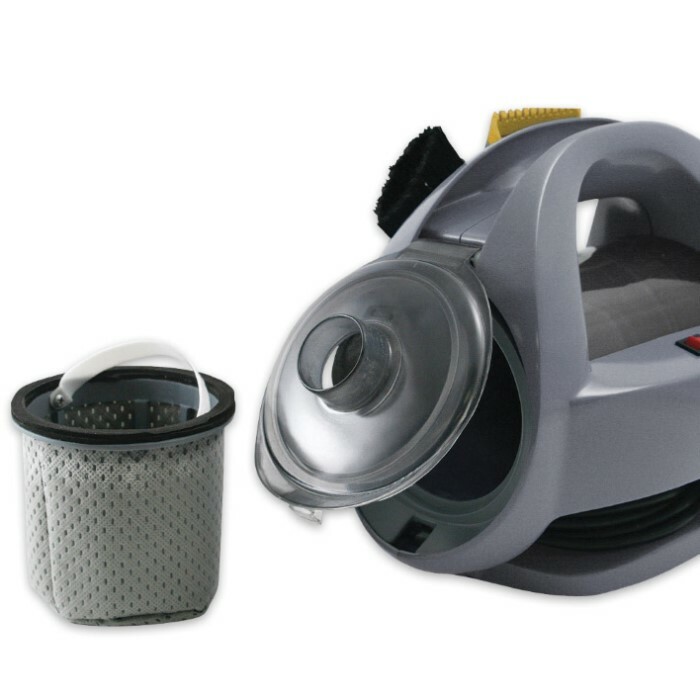 But don't be fooled by its small size - the Auto-Vac packs huge cleaning power! It boasts a heavy duty 580w/120v ETL approved motor and a professional grade in-line airflow design for maximum suction and efficiency. The included carpet, console, crevice and blower tools make cleaning up your vehicle's countless nooks and crannies easier than ever, and the Auto-Vac's handy onboard storage makes putting away and keeping track of these convenient accessories just as simple and painless! The cord features integrated no-hassle storage, as well. Keep your car's value high and enjoy a spotless driving environment with the AutoSpa Auto-Vac 120v Bagless Auto Vacuum system! Makes a fantastic gift for any vehicle owner.